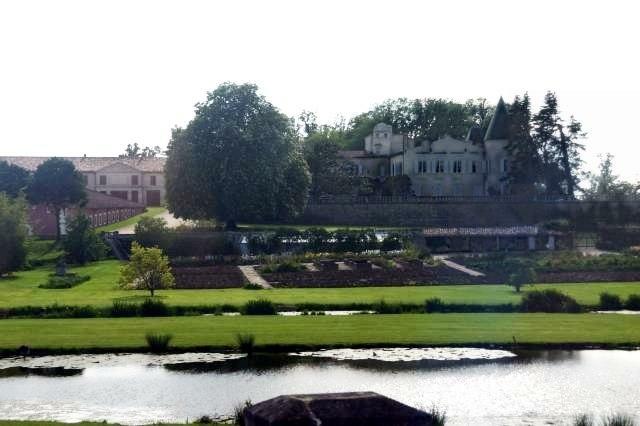 Lafite was one of four wine-producing châteaux of Bordeaux originally awarded First Growth status in the 1855 Classification, which was based on the prices and wine quality at that time. Since then, it has been a consistent producer of one of the world's most expensive red wines. The first half of the 19th century saw Lafite in the hands of the Vanlerberghe family and the wine improved more, including the great vintages of 1795, 1798 and 1818. In 1868 the Château was purchased by Baron James Mayer Rothschild for 4.4 million francs, and the estate became Château Lafite Rothschild. Rothschild, however, died just three months after purchasing Lafite. The estate then became the joint property of his three sons: Alphonse, Gustave and Edmond Rothschild. Labels are slightly soiled! Wine Spectator 95 "Bubbling over with crushed berries, currants and spices, with tobacco notes. Beautiful. Full-bodied, with gorgeously velvety tannins and a long finish of pretty fruit. This is a racy yet elegant Lafite. Classy. Best after 2010. 16,000 cases made." Wine Spectator 100 "Subtle aromas of currants, leather, tobacco and cedar. Classic cigar box nose, with fruit. Full-bodied, with an amazing texture of silky, ripe tannins. This wine completely coats your palate, but caresses it at the same time. This is the best young Lafite ever made. A triumph. Only 2 Bottles Remaining Robert Parker 96 "As I have indicated in the past, under the administration of Charles Chevalier, Lafite-Rothschild has produced a tremendous succession of historic, possibly monumental wines since 1995. The 2002 will only add to Chevalier’s illustrious resume.